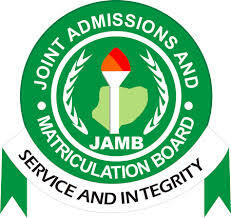 Report has it that a senior staff of the Joint Admissions and Matriculation Board (JAMB), is to be demoted and five others transferred t out of their current station following their fraudulent and compromising roles in the 2016 Unified Tertiary Matriculation Examination (UTME). It would be recalled that the Registrar/Chief Executive of the Joint Admissions and Matriculation Board, Prof. Dibu Ojerinde stated 3 weeks ago that a panel has been constituted to look into the alleged compromising standards in the accreditation of examination centres by some of the staff of the board. Some of these fraudulent activities were believed to have caused the hitches experienced during the 2016 UTME. According to an internal source, the way things are going, more staff may be indicted soon. 0 Response to "JAMB Staff Demoted, 5 Transferred Over Fraudulent Activities In 2016 UTME"